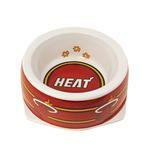 Get your pup ready for the big game with this festive Miami Heat Plastic Dog Bowl! Made of plastic with rubber protectors on base. Decorated in the Heat basketball colors! 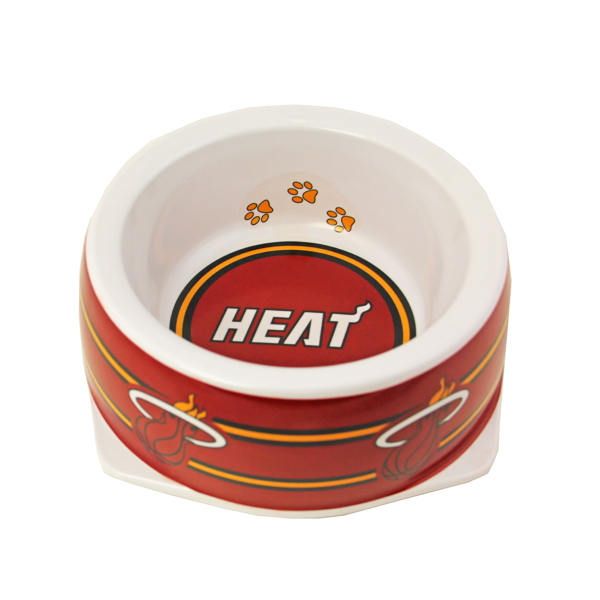 Show your love for the Miami heat and the NBA with a practical and team-spirited bowl! This plastic bowl is available in two sizes and is decorated in the Heat colors and emblem. Combine two separate bowls for food and water and double the fun! Be sure to check out the rest of our Miami Heat basketball dog accessories! I googled many Internet-stores for dogs and Baxterboo is definitely the best. I love prices, sales, customer service, speed of shipping and assortment of goods for our lovely dogs!